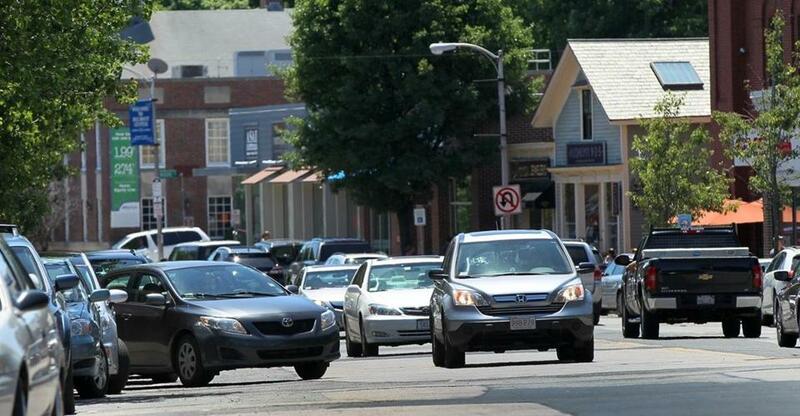 Auto insurance rates bounce back up in Mass. By 2012, the average annual premium had climbed to $974, just $9 below the average in 2007, the year before the state opened the market to competition. The deregulation of the state’s auto insurance market in 2008 resulted in immediate and significant savings for Massachusetts consumers. But it didn’t last long, according to data obtained by the Globe. Average premiums dropped sharply in the first two years as more insurance companies poured into Massachusetts, but costs quickly rebounded, rising faster than in any other state. Five years after the state allowed insurers rather than regulators to set rates, the average premium was essentially the same as before deregulation, data from the state Division of Insurance show. 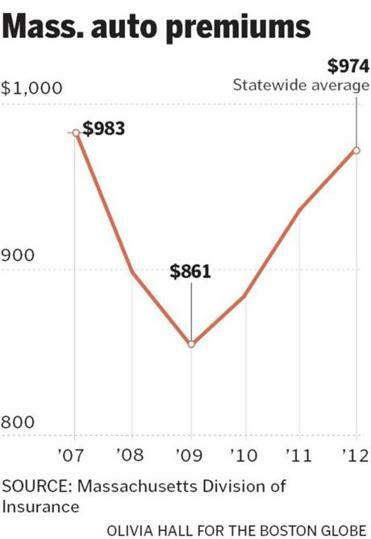 Auto insurance premiums in the state dropped by about 12 percent between 2007 and 2009 to an average of $861 a year. For drivers, that meant an annual savings of $122. But by 2012, the latest year for which statistics were available, the average annual premium had climbed to $974, just $9 below the average in 2007, the year before the state opened the market to competition. In 2012, the average premium increased by 3.7 percent — more than double the rate of inflation in the Boston area, according to the US Department of Labor. State insurance officials said the trend followed the pattern of deregulation in other industries, including airlines, in which prices fell at the outset, then quickly rebounded before the market stabilized. But, they added, the increased competition that came with deregulation provided benefits other than price to consumers, including more choices, the ability to buy policies online, and more discounts for everything from good driving to good grades at school. All of that makes deregulation, on balance, a good idea, they said. “It’s clear that the change in regulation has been a win for consumers,” said Joseph Murphy, the state insurance commissioner. Prior to 2008, the commissioner set vehicle insurance rates, following what were typically contentious public hearings that pitted companies against consumers. The prices and offerings among insurers were essentially the same, and many of the largest carriers stayed out of Massachusetts because of its highly regulated environment. Now, insurance companies can set their own rates and offer an array of options, from coverage for pets injured in an accident to discounts for buying homeowner’s insurance along with auto coverage. The number of insurance companies operating in Massachusetts has almost doubled to 34, including national carriers such as Progressive Insurance and Geico. Many of these new entrants slashed prices to grab a piece of the Massachusetts market, forcing established companies to follow, insurance industry officials said. But as newer companies developed experience in paying claims in the state, the premiums started to go up to reflect the actual costs to the insurers. The costs of repairs and medical care are increasing in Massachusetts faster than in the nation as a whole, which helps drive insurance premiums higher, industry officials said. Between 2009 and 2011, the last year for which national figures are available, the average amount that consumers across the county spent to insure rose just over 1 percent. In Massachusetts, spending grew more than 9 percent, the biggest increase in the nation during that period, according to the National Association of Insurance Commissioners, a Missouri-based organization of state insurance regulators. Ting Pen, a cofounder of ValuePenguin.com, a consumer research and data website that analyzed states’ insurance costs, said she was surprised by how quickly premiums have risen in Massachusetts in recent years. But consumers are not complaining about costs as loudly as they did when the market was highly regulated, said Frank Mancini, president of the Massachusetts Association of Insurance Agents, a trade group based in Milford. One big reason: If an insurance company boosts a premium, a driver can shop for a better deal somewhere else — an option that wasn’t available before the industry was deregulated. But that means consumers must be better informed and look not only at prices, but at coverage levels and how the policies are designed, Mancini said. Massachusetts insurance officials said prices appear to be stabilizing, because insurers have submitted fewer requests for rate increases in the past year. Regulators can still reject rate increases if they are excessive or too much of the premiums go to profits, instead of to pay claims, said Murphy, the state’s insurance commissioner.